The first thing Carol Anshaw tells me when I arrive at her office for a visit is that she’s just found out she’s been awarded the Carl Sandburg Award for fiction. Her barely contained enthusiasm is modest, though. The texture of our conversation quickly signals that it’s not as much the honor, it’s the money—$1,000—a meaningful windfall for a writer who’s stuck to the struggle for so long. It’s a book that’s changed Anshaw’s life, with all the new attention she’s received. (In addition to the Sandburg prize, she won the Midland Authors Award and was nominated for the Lambda Literary Award). 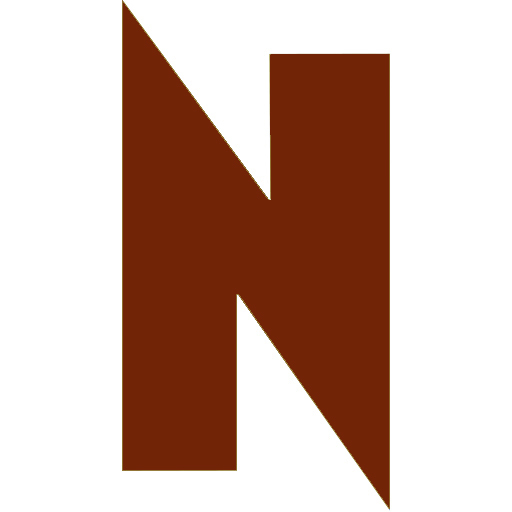 But change is part of life for Anshaw, in a way that no political slogan could portend. And changes, and the multivariate consequences of the decisions leading up to change, is really what “Aquamarine” is all about. It’s probably the only spot Anshaw’s stayed in over the last 20 years. Her life—taken in rapid riffs, reads like a made-for-TV take on the birth of a novelist: left Michigan home because she never fit in with parents or peers—came to Chicago the very week of the ’68 Democratic Convention—took her first job, writing catalog copy, in a modern Dickensian sweatshop where someone was fired every day—moved 10 months later into a “great job” as associate features editor at Advertising Age—started backing up Roger Ebert at the Sun-Times as a movie critic—married and divorced somewhere along the line—shifted from heterosexual to lesbian—started writing novels—and so on. Anshaw’s office is in a Lincoln Square neighborhood that still clings to the traditional notion of neighborhood, holding on to such unfranchisable enterprises as Douglas the TV Giant, the Alps Restaurant and Cole’s Appliance and Furniture Co. The Lincoln National Bank building boasts a gorgeous old lobby, with a high, ornate octagonal ceiling. Anshaw’s anonymity in her upstairs office is relatively assured, nestled among a coterie of dentists, credit unions, and chambers of commerce. The elevator that whisks to the top of this neighborhood skyscraper, the fifth floor, sports timeworn fake-wood aluminum paneling and years’ worth of impatient key scratches around the floor buttons. It could be stuck in the seventies. Stepping off, you step further back in time, into a long, dark corridor lined with hand-painted frosted-glass hall windows advertising businesses that may have closed thirty years ago. Anshaw’s small office, all the way at the end of the hall, betrays the time capsule by its desktop Macintosh. Among the books, papers, and disks, she displays pictures of loved ones and images of Albert Einstein. Her blinds are closed to shield the computer screen from glare; hidden is a beautiful corner view of her neighborhood. Anshaw’s physical presence—somewhat intentionally frumpy, shy but friendly—belies the enormous mental and verbal energy inside. She’s the quiet girl in high school that nobody ever got to know. Affable and eloquent, her conversation, once invested with enough time to build familiarity, is frequently punctured by a razor wit. Her tired eyes signal an earned visage, a struggle waged to do the only thing she’s ever wanted to do. Thankfully, they didn’t. By the time she had established herself as a fill-in critic at the Sun-Times, she knew she was ready to write books. First a novel, then a memoir of her high-school years. Her second novel, “They Do It All With Mirrors” (written under her then-married name, Carol White), was published in 1978 by Coward, McCann & Geoghegan, an imprint of Putnam. “It got me kind of nowhere.” It’s a work that seems to embarrass Anshaw: a rougher, younger voice that she finds so foreign that she’d almost rather not call her own. And read after “Aquamarine,” it does speak volumes about her growth and maturing as a writer. Fourteen years and a lifetime of metamorphosis passed before Anshaw published another novel. Neither of the two novels she wrote following “Mirrors” got published. She describes the time and accompanying frustration as beating her head against the wall: “These books didn’t take six months, they took two or three years.” (When I compliment her that I consumed “Aquamarine” in one sitting, she thanks me and notes, painfully, that what lasted hours for me, took her years to create.) She says that she read somewhere that seventy percent of the people who write first novels never get a second one published. Fortunately, Anshaw’s agent turned her onto something that would sustain through those lean, discouraging years: she’s written twenty paperback novels for teens under her maiden name, Carol Stanley, or under series names (many best-selling series authors are in fact “brand names” that stand for various writers contracted to add a volume to the series), the adolescent melodramas that get devoured by young girls. She says it’s been some of the best money she’s made as a writer and doesn’t seem to mind doing it—that much. “Aquamarine” is the story—or rather the stories—of Jesse Austin, a onetime Olympic swimmer whose moment of night-before tenderness with her chief rival, Marty Finch, cost her the race, as well as a lifetime of longing. The book’s three main sections are three variations on the same life at the same point in time, each reflecting the consequences of a single, seminal decision made long ago. In the first, Jesse’s gone back and settled down with a nice local boy in New Jerusalem, Missouri, her hometown; stumbled into a strange, platonic love affair with a skywriting UPS driver; and yearns for a soap actress who reminds her of Marty. She yearns too, for what might have been had she taken a different path, had she left town. “Living her whole life in this one place sometimes makes Jesse feel as though she is holding the heavy scrapbook of her friends’ pasts, while they’re able to move streamlined into unfurnished presents.” In the second, parallel story, Jesse did leave and lives in New York as an English professor, in the throes of a passionate romance with that very soapstress. In the third, she’s also moved away, but lives a “Florida shabby” lifestyle, trying to keep her son out of jail and to sustain a covert romance with a divorced black man. Her own marriage, to the man who rescued her from small-town life, fell apart under the sagging weight of reality. “I think I thought that with Tom everything would be different. Instead, it was the same, just in a different location.” Anshaw describes this as a “fanciful” book and it is; posing the type of what-ifs that tend to inevitably tap the reader’s own memories and conjectures. Each parallel story is tightly rendered and independent of the others; yet taken together they weave into each other with a rewarding cleverness. Throughout, Anshaw displays an extraordinary mastery of the language; whole characters leap fully developed out of a single sentence or two: “Earl and Thelma Thompson roar by on their Harley, which is nearly as large as a car and painted candy apple red and blaring out from its radio one of those songs from the Christian station which sound like bland love songs, then turn out, a ways in, to be about Jesus. Too much friendliness with Earl and Thelma is an invitation to get proselytized, and so Dell just nods at them and Jesse waves, both in minimal ways.” But even more, she has that enviable ability to combine simple words in such a way to unleash a rush of tone and wit far more rewarding than any other combination of those same words could. In our conversations, lesbian themes don’t come up until I bring them up. Anshaw makes no attempt to hide her sexual orientation from me, a relative stranger, she just doesn’t wear it on her sleeve. She says simply, “I was married, and I was straight, and then over a period of several years I wasn’t straight so I had to redesign my life.” She describes the change in her sexual identity as a shift, not an unchaining of suppressed tendencies nor a long-delayed closet-busting or anything like that. “I think probably there were always lesbian elements in my character, in my self. But I don’t think they were suppressed so much as they were in recess, in abeyance. I was pretty heartily heterosexual when I was, and then it shifted.” For obvious reasons, her marriage failed, but she remains on good terms with her ex-husband (Anshaw is her mother’s name). In any case, she credits Albert Einstein for her coming out: “I had this book, ‘Einstein for Beginners,’ where you can understand the theory of relativity for fifteen seconds; it does it with trains and mirrors and stuff. In the book it said he was kind of a schmo from Kokomo; he didn’t have any big degrees; he dropped out of that Polytechnic. When he came up with this theory, in order for his theory to be right, all of physics from Newton on down had to be dead wrong. Now this has got to be kind of daunting for most people, they would just kind of crawl back into their hole. But that’s how I felt about my life when it finally reached that point. In order for me to be who I really am, my whole life is wrong. And I’m going to have to change it. And that’s kind of an overwhelming realization when it hits you but then you begin by small awkward steps…,” she pauses as if briefly reliving in her mind a few episodes from those years, and continues. “So what I’m relating to you now seems ever so smooth, but it was not at the time. So here I am.” Still, after “running the gauntlet,” she’s settled into a long-term monogamous relationship. “I think I got lucky,” she says. Anshaw’s mission has finally brought her to a place that many aspiring writers would envy. She recently took an MFA at Vermont College—”one of the best experiences of my life”—through their low-residency program. It’s something of a highbrow correspondence program geared to writers who are “in the middle of a life” and can’t afford to pack up and go to Iowa for two years. She spent ten-to-eleven-day residencies in the summer and winter, and worked with her advisor through the mail the rest of the time. It helped her develop a network of mentors and peers she can draw upon in the future. It reduced her isolation. She had finished “Aquamarine” and sent it to her agent; her revisions on the novel after Houghton Mifflin bought it constituted her thesis project. 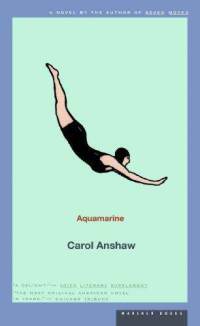 Carol Anshaw will read from “Aquamarine” at the Printers Row Book Fair on Sunday.